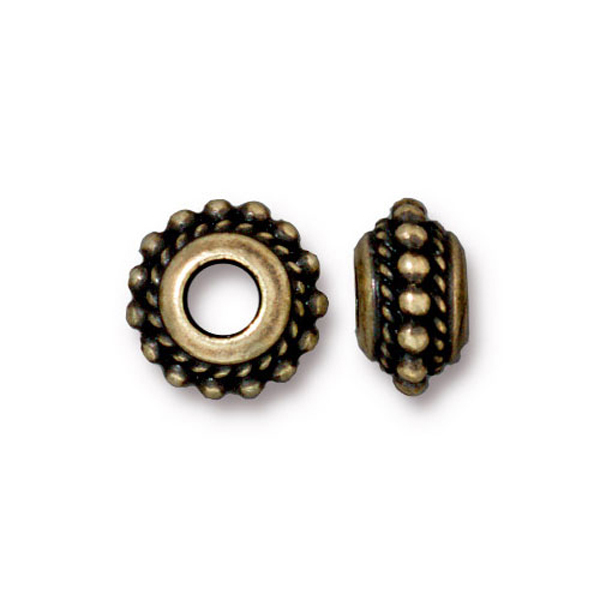 Made in the USA, large hole, spacer bead with exterior dots design. Hole is approximately 4mm in diameter. Brass Oxidized Plate over pewter. Does not contain lead or nickel. Quality product at a reasonable price. Outside diameter approximately 12mm, across the bead approximately 5mm.